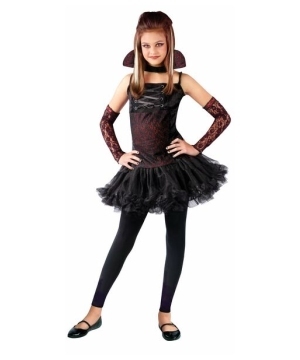 Incredible selection of Girls Vampire Costumes that can make her look incredible for Halloween, school plays and Disney's horror nights. 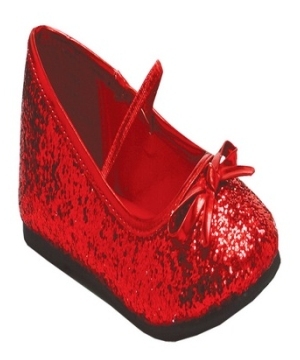 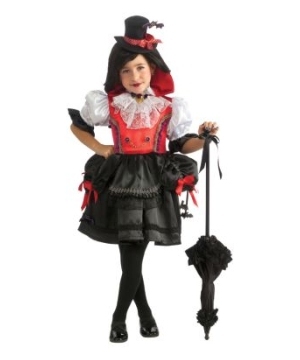 Select from a vast quantity of Girl Costumes and enjoy secure shopping and fast shipping options. 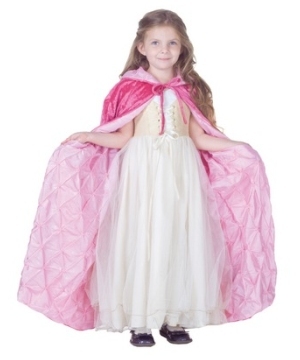 She looks like a little angel, an eery pallor enveloping her face, the droplet of blood trickling down her check. 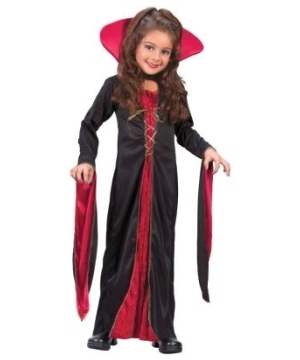 It is about time for her to receive her very first Vampire Costume. 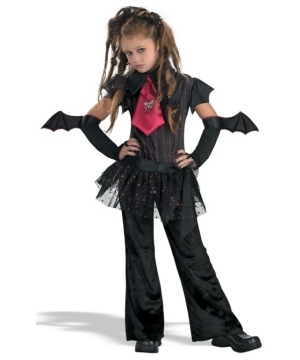 Wipe the imaginary blood off her cheek and check out all of our special designs for mommy’s little vampire girl. 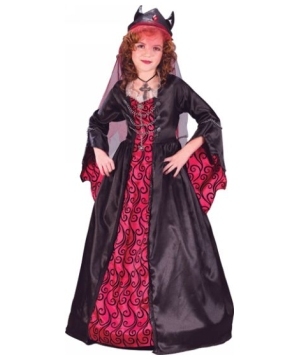 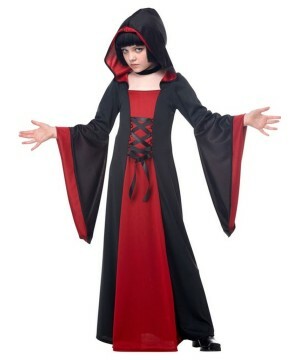 The Princess Vampira Costume is a lovely choice, a black dress with a red overdress, long sleeves accompanied by long lace at the cuff and a wide red collar. 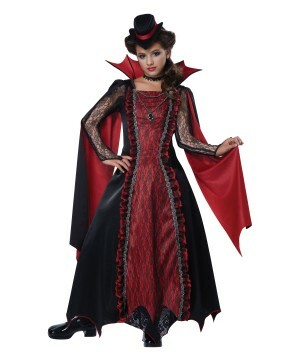 Another favorite choice for girls is the Rose Vampiress Costume shows off a dress with a shredded bottom, held tight by an elaborately designed belt with a high collar with a design that mimics the belt, a splendid combination of grace and the underlying hint of evil. 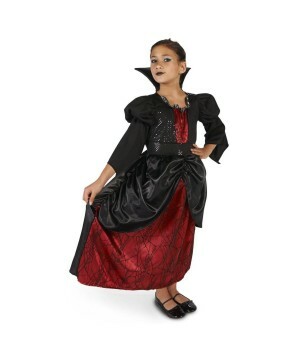 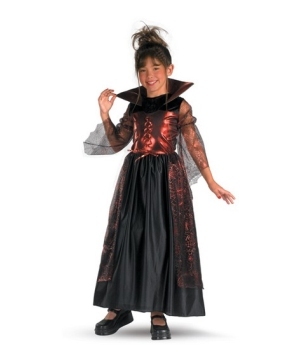 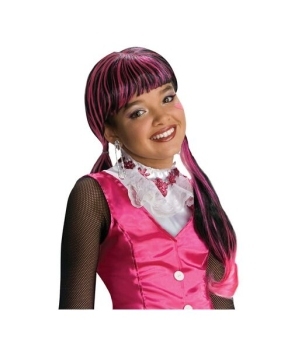 The Sweet Vamp Girls Costume sports a black dress with a shimmering red front and a black choker with a collar. 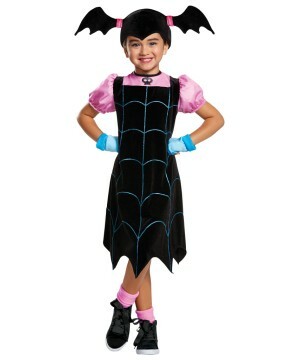 She will be ready to terrify any unsuspecting neighbor dressed like a fruit or some silly thing. 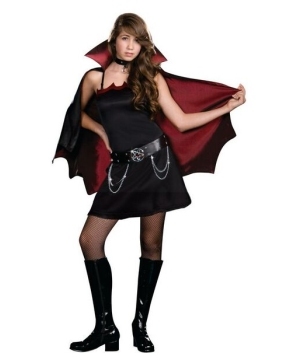 We have many more fashions and designs in Girls Vampire Costumes. 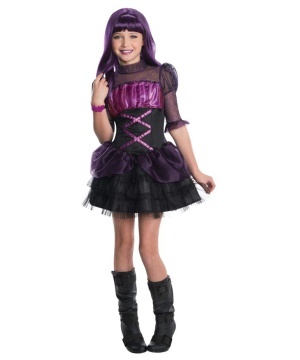 Suit her up with her favorite Victorian style dress, veil and lace gloves, for a final touch she can select a Vampire Girl Wig and fangs.